If Illinois is the Land of Lincoln, then Galena is certainly the Town of Grant. As a civil war era town it's not uncommon to see soldier reenactments or even a man dressed as General Grant cruising through Main St. It's chalk full of history but that doesn't mean nerds only. Locals like to call Main Street the "Helluva Half Mile" because it's packed with antique stores, souvenir stops, tasty treats, fashion, decor, and restaurants. And after dinner, the nightlife will make you glad you can just walk home. We like to think of Galena as our secret spot, but we're happy to see others jumping on board too! Forbes Magazine listed Galena as one of America's Prettiest Towns, while Fodor's Travel listed it in America's Best Main Streets. While we pat ourselves on the back, check out a few things to do in town. The view down Galena's historic Main Street, aka the Helluva Half Mile pretty much looks just as it did during the Civil War. A walk from start to finish passes nearly 100 19th-century storefronts that have turned from factories and businesses to modern-day charming boutiques, art galleries and restaurants. You may also recognize it from downtown scenes in Kevin Cosner's Field of Dreams. Upon General Grant's victorious return to Galena after the Civil War, citizens awarded him this red brick house on 500 Bouthillier St. where he lived until his move to the White House in 1873 after his presidential election. 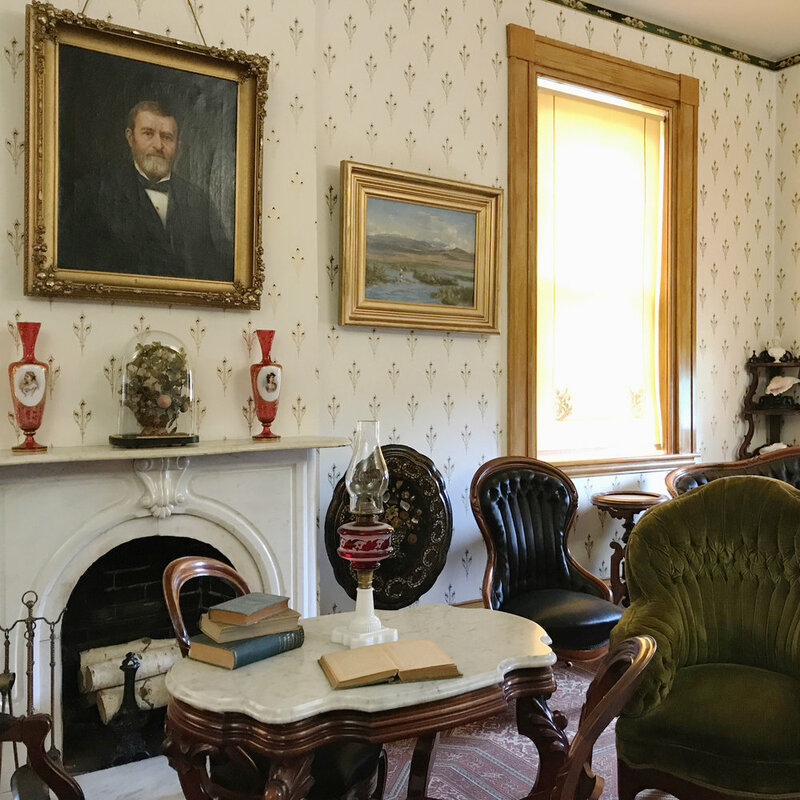 The house is open for public tour and is the crown jewel of Galena's historical collection, with much of the original furnishings and decor on display..
For any vacation or weekend-getaway, food can be the most crucial part. Luckily, Galena has you covered, and all within walking distance! Lots of eateries are sprinkled in along Main Street, so whether you're craving Italian cuisine with a bottle of wine, a Greek steakhouse serving up "opaaa! ", or the best schnitzel with an imported beer, you can find it here. If you’re looking for an after-dinner drink or a wild night on the town, Galena is the place! Make your way to the wine bar, sing some karaoke, try a beer flight, or visit a number of our small but friendly neighborhood dives. If you found the Zoltar fortune teller, you're doing it right. You can also try to get lucky at the casinos in Dubuque, just a 25 minute drive away.